Perhaps spurred along by recent criticism from Facebook CEO Mark Zuckerberg, the W3C (World Wide Web Consortium) announced it has published the complete definition for HTML5, as well as the Canvas 2D specification. The news doesn`t mean HTML5, heralded by its supporters as the cornerstone of the open Web platform, is a full-fledged W3C specification. Rather, it means HTML5 and Canvas 2D are now feature complete, giving businesses and developers "a stable target for implementation and planning," according to the W3C`s announcement. "As of today, businesses know what they can rely on for HTML5 in the coming years and what their customers will demand," said W3C CEO Jeff Jaffe. "Likewise, developers will know what skills to cultivate to reach smartphones, cars, televisions, ebooks, digital signs, and devices not yet known." Among challenges in further spurring widespread HTML5 adoption is browser fragmentation. The W3C said it is now devoting the standardization process to interoperability and testing to "ensure that the specifications may be implemented compatibly across browsers, authoring tools, email clients, servers, content management systems, and other Web tools," according to W3C. The process entails analyzing current HTML5 implementations, establishing priorities for test development, and working with the community to develop those tests. 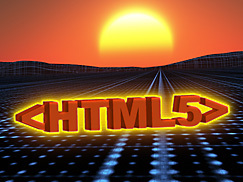 The HTML Working Group expects the implementation phase to last into mid-2014, after which W3C expects to publish the final HTML5 Recommendation. The W3C community will also continue improving the spec, as well as improving and adding extensions to complement built-in HTML5 accessibility, responsive images, and adaptive streaming.